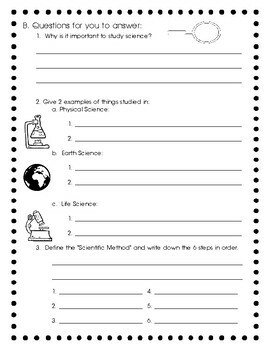 This worksheet can be used as a preview to the new school year's science curriculum. I would introduce science to the students with this worksheet. You can have them read along with you, or have them complete it by themselves if you think they are able to. 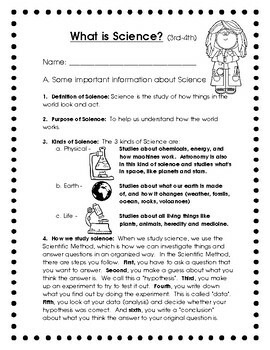 The worksheet covers the definition of science, purpose of science, kinds of science and how we study science. Questions are there for them to answer also.